Divine Blinds, Shutters & More is a window covering, furniture and accessory company that specializes in all types of window treatments, unique furniture, decor items, accessories and hardware. We have been in business for over 13 years and part of our success is our personalized service. We come to your home or business and help you to select, design and install your window treatments. We keep budget in mind while staying on the cutting edge of design. 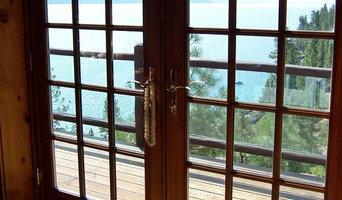 Most of our window treatments are made in the USA and we are not a franchise. We continue to grow and expand our business with new products, including barn doors and barn door accessories. Our custom approach to residential and commercial applications is what makes us stand out. We offer a full line of window treatments. 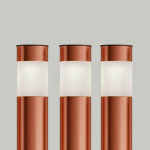 We carry Hunter Douglas, Lafayette, Skandia, Century, Kasmir and BDD. 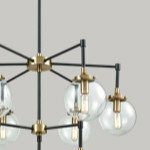 Our furniture and home decor vendors are Palecek, Kalalou, Cyan Design, Restoration Hardware, and Ballard Designs. We continue to grow and expand our areas. We sell on our marketplace, too. Check out all the cool products!! Divine Blinds, Inc.’s mission is to select, design and install window treatments, furniture and accessories that enhance my customers’ dream homes and businesses. Our goal is to create a synergy of light which optimizes the beauty and flow of their special space. Our purpose includes being a positive uplifting source that focuses on knowledge, style and creative ideas. All actions and business dealings are infused with high energy and are completed with integrity and honesty. Divine Blinds and its customers divinely benefit from this exchange of wealth. 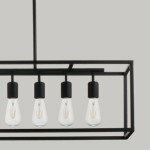 Interior projects (focus on kitchen and bath) and related products. Design professional to help in space planning, material selection and color schemes. 3-D rendering are available and well as financing options. In-home and in-store customer consultations, development of project proposals. Professional Installers that deliver quality installation. Project manager to manage your project during installation. Here at DLR Construction you will find that we give you 110% quality effort to your project where quality is never compromised, we have been in business since 1989 building, remodeling, big and small projects. We are small enough to cater to our customers individually; where no detail is overlooked, from designing to completion, we are here for you The client. Call us for a free in home consultation..
We specialize in interior space planning for new and remodel construction projects, project management and kitchen and bath design including lighting, electrical, plumbing and materials. Residential Interior Design space planning, remodel and design. Interior Specifications to include kitchen, bath and home design, cabinet, electrical, plumbing and hardware selection, interior and exterior material and finishes. 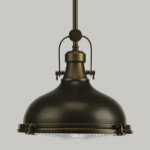 Period Restoration and Design. At Sparks Tile and Stone, we are more than just tile. We can provide prefabricated granite, Travertine, Slate, Marble and different varieties of mosaics, medallions, glass and trim. We have a list of contractors we will recommend, and can work within your budget. Whether you are building a new home, remodeling an existing property or just redoing your bathroom, we can help. Of course we provide free in store design and estimates and would love to help you design your dream room. GuiDenby, Inc. is a family owned and operated design-build construction company offering complete design and construction services. By providing complete services, we offer the client an opportunity for continuity and understanding of the project from beginning to end. This approach is made possible through the teamwork of the owners, Robb and Allyson Wong. Through the combination of creativity and practicality, GuiDenby creates projects which are both beautiful and functional. We look forward to the opportunity to work on your next project! Welcome to Unique Design Cabinet Company, serving Reno, Sparks, Incline Village, Lake Tahoe and Washoe County in Northern Nevada since 1985. We are woodworkers who design custom cabinetry, custom kitchens, bathrooms, and furniture for all rooms of your home. As you look through our portfolio, you will see many different styles of cabinetry and furniture, each custom designed and built to meet the specific tastes and needs of our clientele. Our Portfolio only contains a fraction of the projects we have had the privilege of working on over the last 30 years. Use these images as ideas to launch your own design ideas to suit your needs in your individual situation. We can make your cabinetry dreams into reality. It’s what we do. We design and build any style, because we appreciate the uniqueness of each. 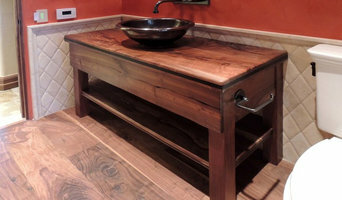 We work with wood, because we love the uniqueness of each species and it is natures renewable resource. We use both domestic and imported solid woods and veneers like alder, ash, birch, cherry, lyptus, maple, mahogany, oak, pine, walnut, as well as many exotic woods from around the world. I got my start in the construction business over 25 years ago as a laborer and worked my way up through the ranks. I was a carpenter and field supervisor for a number of years until finally going into business for myself. I enjoy being out in the field, and I take a “hands on” approach in all aspects of my business. We have a reputation for producing the nicest finished product in the Reno/Tahoe area. Even more important to me is our reputation for honesty and integrity throughout the process. You can count on us to complete your project on time, on budget, and with the highest quality. 2 Crazy Gardeners landscaping is a family owned company that was established in 2002 in beautiful Reno, NV. The company is owned by Nancy Johnson and her son Will Johnson. We specialize in customer service, maintenance and custom landscapes. What makes 2 Crazy Gardeners your personal gardeners? It is their ability to cater to their clients needs as well as to their landscape needs; meeting with the customers as many times as it takes to get what he or she desires, because in the end the customer is the one who is going to enjoy it. Nancy and Will listen to their customers wants and ideas. They are with them every step of the way. Whether its cleaning up the yard, figuring out disease problems, remodeling a yard, installing a brand new yard, or doing a consultation 2 crazy gardeners can help. K. Donavan is the #1 home staging company based in Reno/Tahoe. 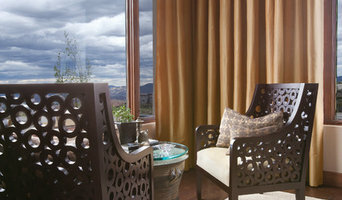 K. Donavan offers premium home staging services throughout Reno, the greater Truckee Meadows, Lake Tahoe and Truckee. 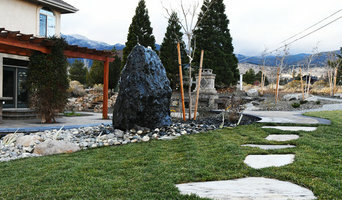 Signature Landscapes is Northern Nevada’s premiere full-service landscaping services company. Since 2001, the award-winning company provides commercial and residential landscape construction, outdoor property management, tree care, wetlands management, pest control and the highest-quality landscape maintenance services. We continually strive to provide top quality, state-of-the-art landscape management and have been rewarded with contracts for several of Nevada and Northern California’s most prestigious properties and clients. Signature Landscapes history runs deep in the landscape industry. The owner/partners have been involved in landscaping for a combined 50 years and have had other successful companies before coming together to form the Signature family of services. Signature Landscapes is deeply committed to using their extensive resources to support their clients, the community, their employees and the landscape industry. But before you start sending out dozens of emails and making phone calls, sit down and think about your project. What's your budget? What is the scope of your project? Will you need more than one type of professional to complete your home improvement project in Reno, NV? Can you afford to complete the full project now, or should you tackle it bit by bit? Once you've settled on your project’s priorities, budget and scope, it's time to start researching Reno, NV home design professionals. Don't sell yourself short and settle on the first professional you set your sights on. Make sure that you're working with someone local, who can get to the jobsite easily and efficiently. Look into the person’s reviews, ask to speak with former clients and to see previous jobs in person. Take a good look at their portfolio photos: How similar are these projects to your own? Be honest — that mansion might look beautiful, but it might not have a lot in common with your little bungalow. Reach out to multiple professionals — especially for larger projects — and don't settle for the first bid you hear. Comparing multiple Reno, NV professionals' bids and experiences can help you find the one that’s best for you. Ask a lot of questions now, so you won't have unexpected answers later. Find a home design professional on Houzz. Narrow down your search by type of professional and location. 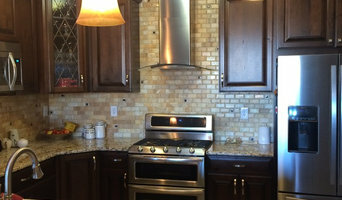 Browse Reno, NV portfolio photos, read client reviews and contact each Reno, NV professional for more information. Check out the information in the specialized professional sections too for tips on how to hire the right professional for your project.